Pamporovo or also the sunniest winter resort in Bulgaria has an altitude of 1700 m and a location deeply in the Rodopa Mountains. Obviously the sun likes this place a lot because there are more than 100 sunny days every winter. Here you can enjoy the endless green wood and fresh air. The resort is situated 250 km from Sofia and 80 km from Plovdiv. Although Pamporovo is a winter resort it is visited also in the summer months too. Here everyone can try the famous Rodopian cuisine with many unknown yet dishes. Besides a lot of ski paths Pamporovo offers an abundant culture too. 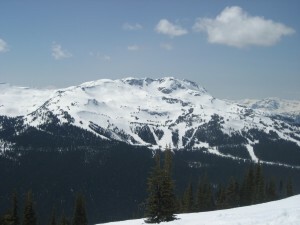 Its proximity to Smolyan is of great matter because many of the skiers and tourists deicide to visit the ancient town. There are a lot of places that should be seen in this little Rodopian town – ancient church, Planetarium, astronomical observatory and many others. A lot of lifts are also available to the guests of Pamporovo and the ski paths are well acknowledged by many ski champions of the world. The long winter, nearly 5 months, beautiful nature and the hospitality of the local people caused together the great attendance in the resort. The easiest and most convenient way to visit Pamporovo is by car and if you do not have one or think your personal car is not reliable you can rent one for a couple of days. Irent is offering cars for rent on the lowest prices in Bulgaria. You can hire a new, modern and fully equipped car for 20 euro per day – what else can you desire! Our large car-park guarantees that you can find the most appropriate vehicle for you. The car are divided in different categories – economic, jeep, large, luxury and others. Regardless of the purpose of your renting – family holiday, business meetings, if you make use of our services you will have a comfort, safety and a car that will represent you excellently. If you are not well known to the area, we will offer you purchasing a GPS navigator.Pay a little more and you can have a child seat and a luggage-carrier on the top of your car. The Irent team has thought about businessmen and offers transfer of a large number of people for symposia, visits or even weddings. So your guests or friends could enjoy and not worry about their way back home. We are offering special rebates for such events negotiating with the customer personally. The most attractive thing about Irent is that the vehicles have all the insurances, unlimited mileage and road assistance tax included in the price. Visit our web-site and make a couple of clicks to rent a car – it is rally that easy! Irent is the only possible option for those of you who want perfect quality on popular prices. The company is honest and if any kind of problem occurs all you need to do is to call us. We will take care of your issues while you are enjoying you holiday in Pamporovo.